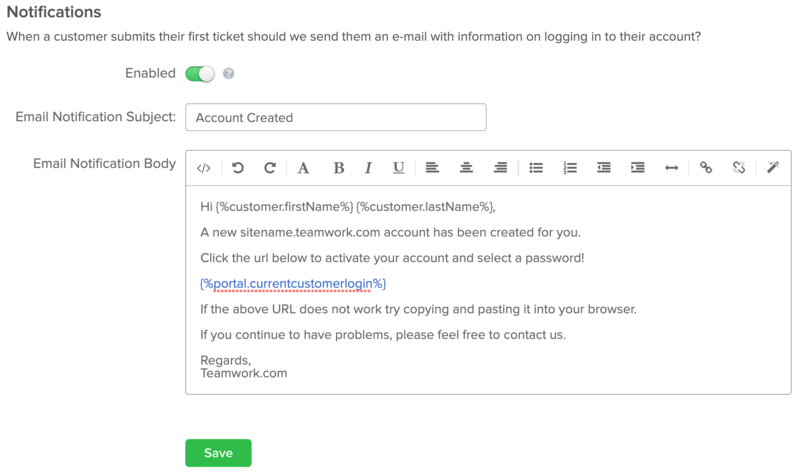 Within Teamwork Desk you can set up your customer portal for your customers to interact with their tickets. To enable the customer portal, click on your profile icon to the top right of the navigation bar and select Settings. To the top of the page you will see an option to enable the customer portal. You can also set the language that the customer portal will appear in when your customer views it. By default it will be set to your users browser language. Adding a custom domain is also possible. By default the URL for your customer portal is https://sitename.teamwork.com/support/. You can add your own custom domain instead by adding a CNAME which points to your default URL. 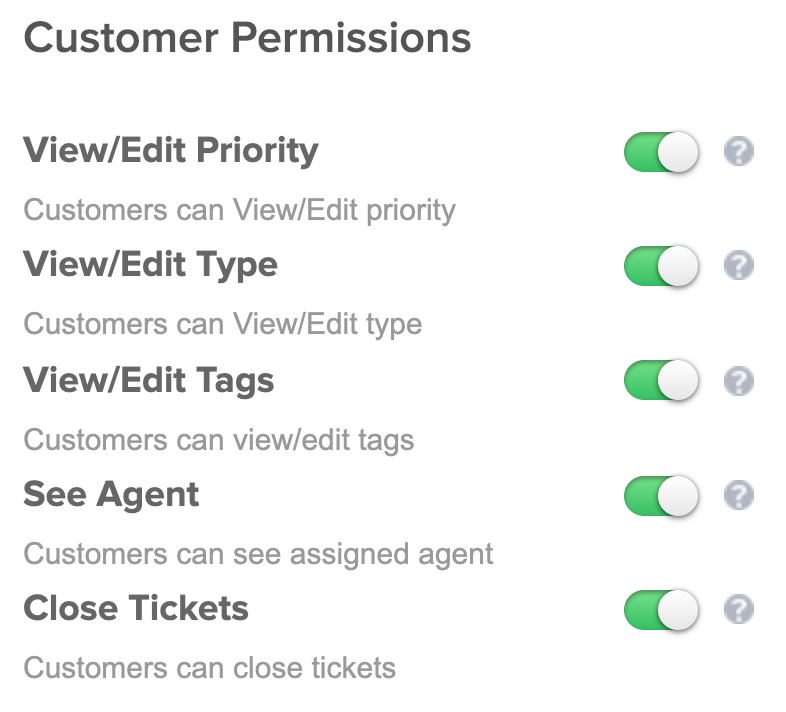 You can provide the following permissions for all customers. Note: Customer Portal permissions can be enabled at either company level or individual user level. You can choose what help docs sites you want to include on the home page of your customer portal. When your customers look for answers to their questions they can find answers here quickly and easily before opening new tickets. You can choose the inboxes that your customers can create tickets on. The text entered into the inbox Alias field will be the label that appears on the left of the inbox dropdown field on the submit a request page. If you enable notifications then your customers will receive a notification when they send in their first ticket. If the user has not signed in when submitting this ticket they will receive an email advising them that an account has been created for them. Within this email they will receive a link to set their password. Note: This password link will only remain active for 24 hours. If your customer does not activate within that time, they can resend the password from the Customer Portal login screen.